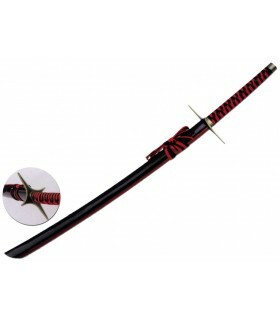 Katanas There are 123 products. Katanas for decorative or practical use without strikes against a different katana or any object. 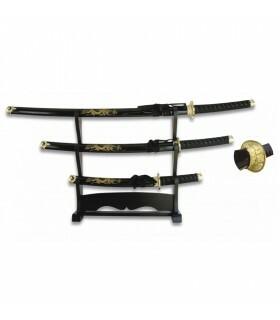 The katanas for basic exercises are made for those who start practicing martial arts or just want a beautiful object for display. 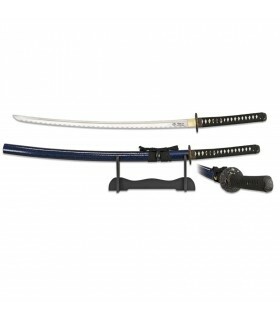 The advantages: besides having a very competitive price, quality and strength, these katanas fully adapt to the needs of those who must use them to practice the dojo. 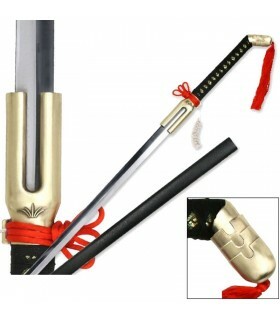 Features: the Koshirae are made of iron, brass and aluminum alloy; the steel used for the blades is of type AISI 1045 with a high carbon content; Tsuka and Saya are made of wood; The Tsuka Ito is made of cotton and genuine leather (Same). 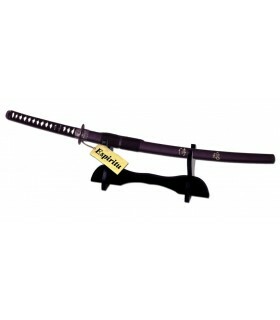 A line of katanas dedicated exclusively to the practice of Iaido, Kendo, Kenjutsu, etc. 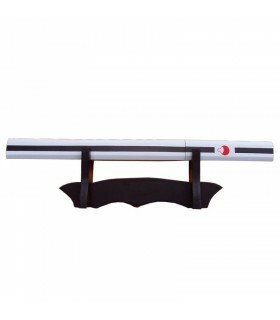 An object that will accompany you in the practice of martial arts for a long time. 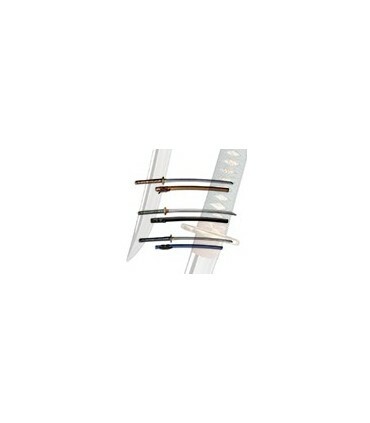 Features: the blades are well balanced with artificial Hamon. 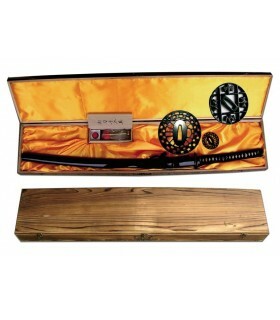 All Tsuba, Fuchi and Kashira are iron and decorated in order to maintain a smooth surface to avoid damaging your hands during use; the Saya are resistant wood and lacquer is made with care; the Tsuka Ito is pressed and tied on a strip of real leather (Same) that does not move, even with frequent use; the sheets fit snugly inside the Saya and the Habaki fits perfectly in the Koiguchi. 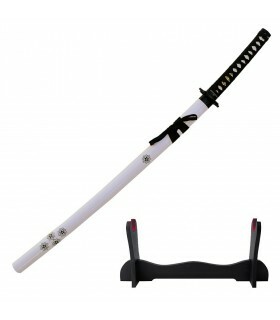 This intermediate line offers more that the "standard exercise", the type of the blade, the Koshirae finishes and the added accessories. 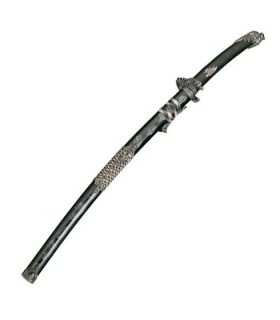 This intermediate line is equipped with hardened clay treated blades, with visible Hamon (not artificial), or folded like Damascus steel. 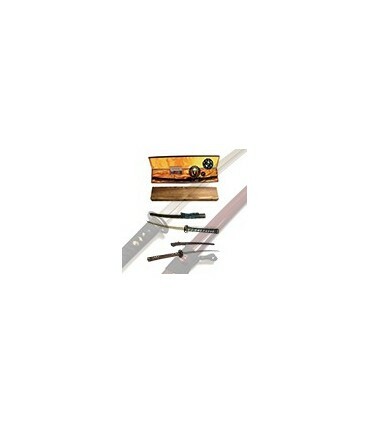 Features: perfectly balanced blades with high quality fittings; the Seppa, the Habaki and Shitodome are made of copper; Tsukagawa of genuine leather; Tsuba, Fuchi and Kashira the made ​​with a more complex process. 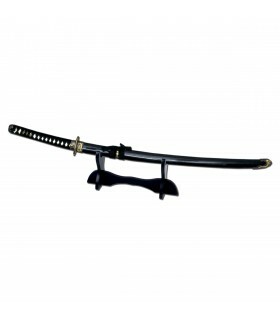 If you are looking for top level katanas or an object that resembles a Nihonto, then these are the Katana you are looking for! Features: the Koshirae pieces are inspired by museums in Japan and the blades are AISI 1095 steel, with hardening clay and visible Hamon; the top level Katana offers a high level of finish and top quality materials such as buffalo horn for parts of Saya (Koiguchi, Kurigata, Kojiri) and silk for Sageo and the Tsuka Ito; the Habaki, Seppa and Shitodome have a higher quality finish than other lines and often are silver plated. 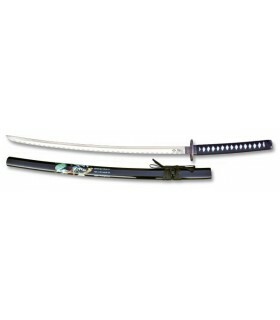 Mini katana belonging to the character Sasuke from the series Naruto. Includes stand made of wood. Sasuke is a member of the clan Uchiha, son of Fugaku and Mikoto, and the younger brother of Itachi. From a very early age shows great skills, but in spite of this grows in the shadow of its older brother, the only one that recognizes their talent. 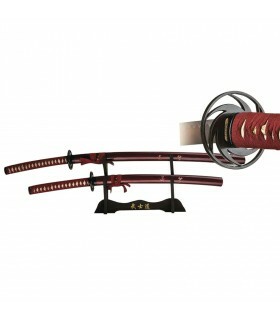 Katana sheathed in red wooden shield in silver and black braid. 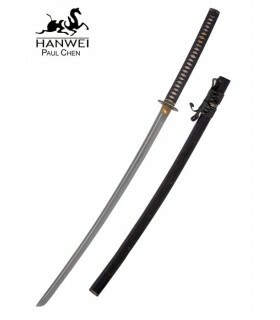 With 440 stainless steel blade. 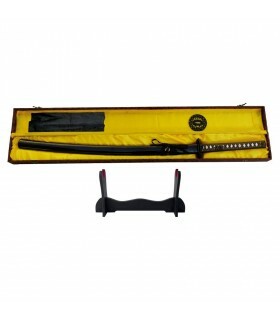 Katana with black scabbard and shield crane. 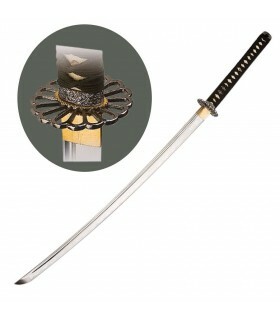 With 440 stainless steel blade. 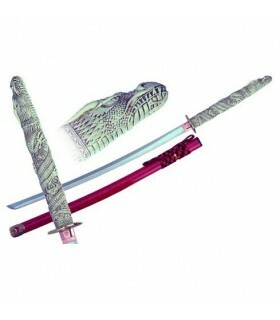 Katana Red Snake red leaf sheath and 440 stainless steel. 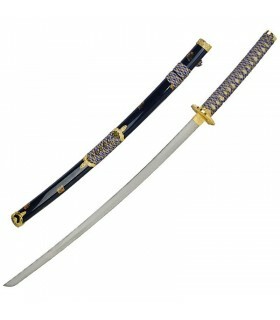 Katana with blue-gold sheath and 440 stainless steel sheet. 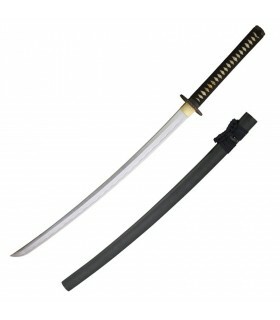 Katana is a curved, single-edged blade and Japanese sabre/sword. It is thought that is creation took place between Xth and XIIth century as a weapon to fight against the heavy cavalry. 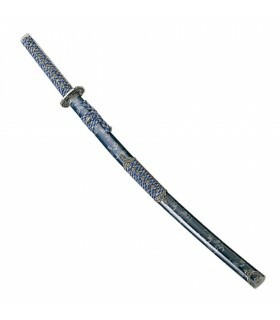 We can consider the most famous Japanese sword from History used above all by the samurais. 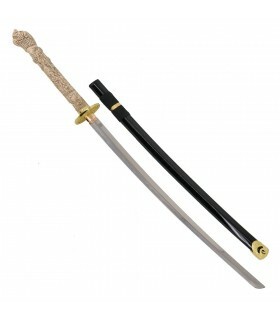 Tsuka: It is the katana's handle, we will always see it surrounded by ropes. Most traditional models are made of ray's skin. 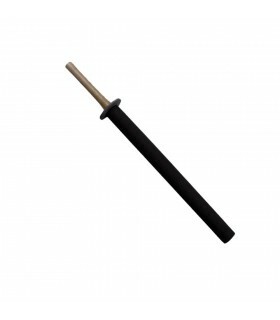 Tsuba: Ti is the katana's guard, which is normally round and very well decorated. 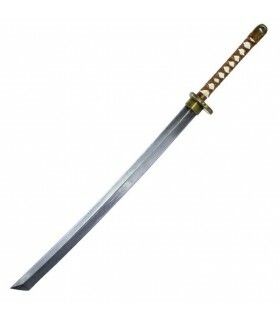 Ngasa: It is the katana's blade, normally rounded and single-edged. 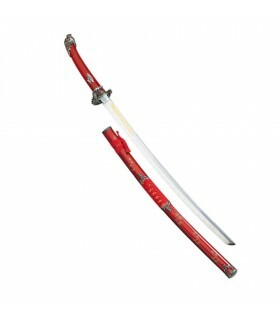 Saya: It is the katana's scabbard. 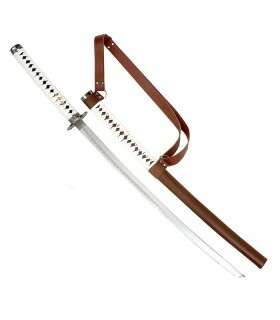 Aikido: It is the classic sabre/swords fight between samurais. 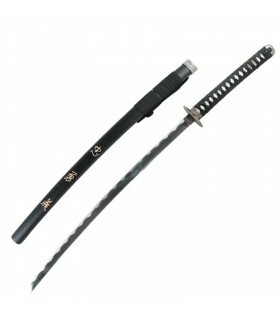 Iaido: It is a practice which consists in sheathing and unsheathing the katana. 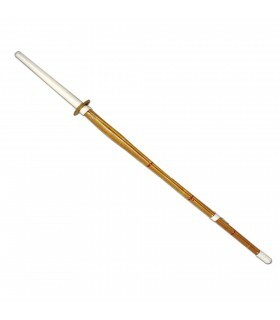 Kendo: It is a discipline which shows how to fight with katanas, either made of wood or bamboo. 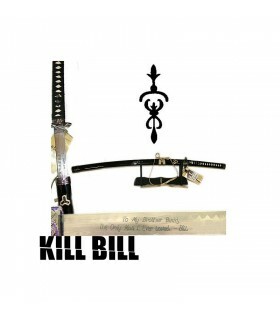 Jiujitsu: It is a fight discipline whose main goal is personal defense, sometimes against other weapons, in this specific case against katanas. Karate: It is the martial art where we only show the use of katana to most experience students, those who are more skilled. 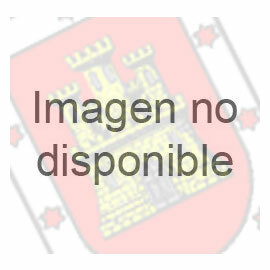 Karate freestyle, it is a spectacular combat in which the karate practitioner is able to prove how skilled hi is, in front of some judges and on a musical background. 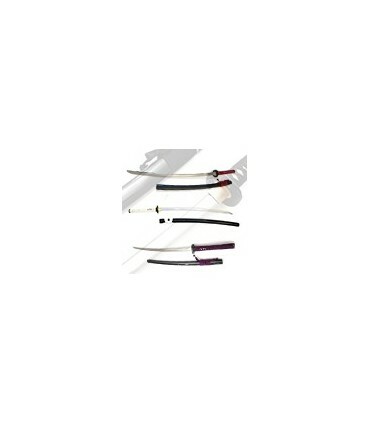 Tameshigiri: It s a martial art where the slash with the katana is practiced. 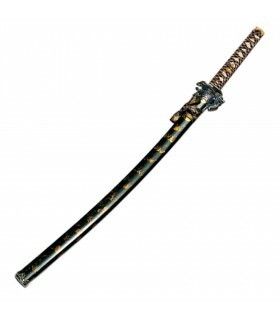 Decorative Katanas: They are only designed for being exhibited or hanging on the belt. The will never be double/single-edged. 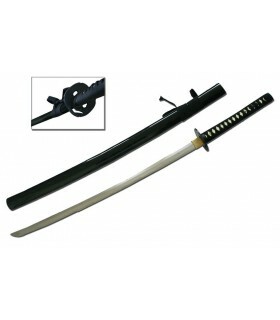 We strongly recommend them to those who want to get a katana for its place. 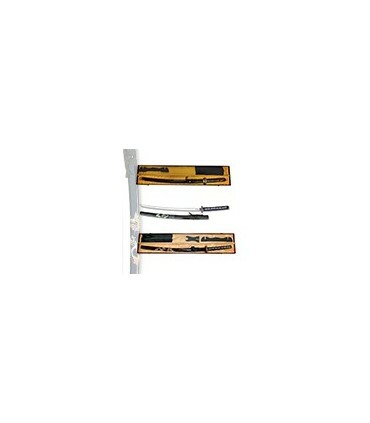 Basic practice katanas: They can be used as decorative items but also as swords for unsheathing practice. 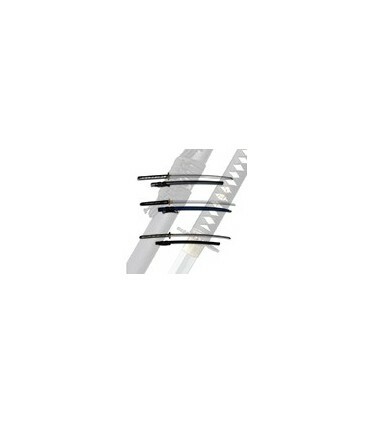 Some of them are double/single-edged, but they are not balanced. We recommend them for beginners. 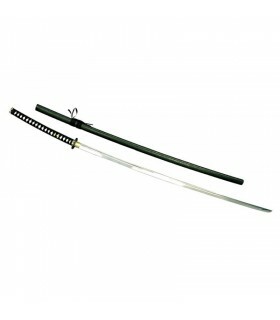 Standard practice katanas: It would be suitable to use them for first training, unsheathing and other soft mouvements. Skilled beginners will make a good use of them. Intermediate practice katanas: They are highly recommended for training without making extreme or complicated mouvements. Somme of them can be used for slicing os slashing. Those are the best considered by the experts. 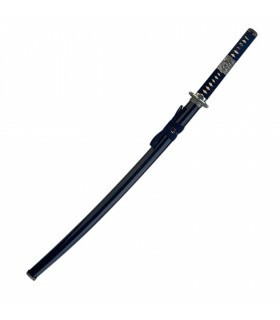 Superior practice katanas: It is said they are the ideal katanas for training the slash and practicing mouvements without taking huge risks. 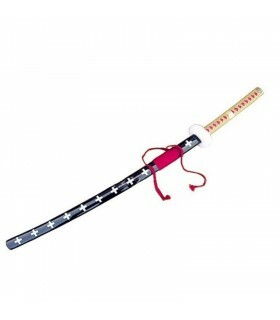 Martial arts masters strongly recommend them, given that they usually are single-edged blade and very well balanced. 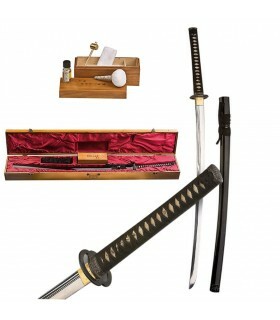 There are katanas which belong to this category are masterpieces. Katana's weapon cleaning was a real ritual, warriors usually wasted several hours to get an immaculate blade. 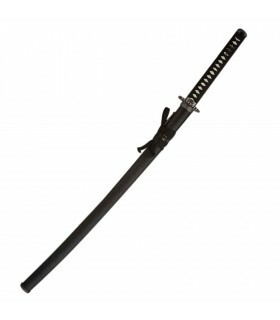 Katana was mainly used to kill the enemy (sometimes the warrior hurt himself, by means of Harakiri). 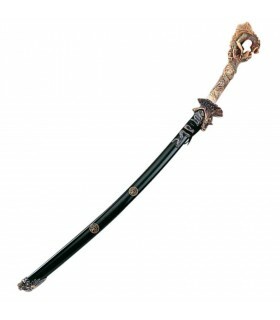 During the battle, samurai cleaned the katana's blade with its sleeve's jacket (Uwagi), but once the combat finished they took the following steps to clean its sword properly. 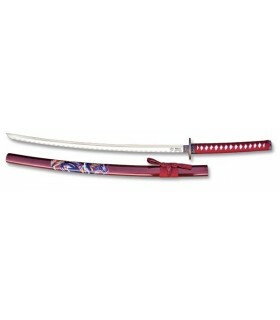 To sit in Seiza position, on its knees with heels touching the buttocks for unsheathing the katana very slowly. Cleaning dirt and dry oil with rice paper. Apply the Uhicomori, using the pompom over the blade. Apply oil over the blade in a uniform way. 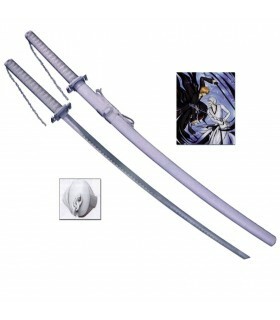 Specially for professionals, related to anime or movies, decorative ones...but also cleaning kits. You must take account that our prices are incredibly competitive, besides, are products keep a quality price relation hard to equalize. 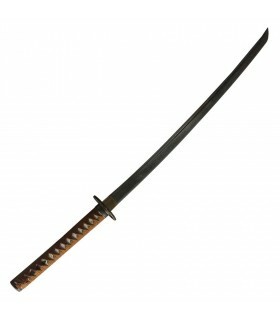 If you are looking for a katana, we could be very helpful showing you the most appropriate option for satisfying your needs.